Armored Sealcoating is your top choice for commercial sealcoating in Kenosha County. We have top of the line equipment and commercial grade materials to guarantee a job done right. Not only do we promise quality, we also promise efficiency. We understand when it comes to your business, minimal downtime for your parking lot is crucial. We will work swiftly and have your parking lot looking brand new again in no time! Armored Sealcoating has a 2 coat application policy on EVERY job to ensure long term quality and strength. This allows for less often maintenance. We are able to recommend every 3-5 years vs. the typical 2-3 years of our competitors. Why Should I Seal Coat my Business Lot? Appearance is HUGE. Your parking lot is the first thing potential customers see. It’s the first thing potential employees experience when showing up for an interview. It’s the first thing people coming to your business for a meeting come across. It’s the first impression anyone receives of your business. Professional seal coating will keep your lot looking like new. We minimize fading, re-stripe, and keep the damage and wear and tear to a minimum. Armored Sealcoating is the best choice for maintaining your commercial driveway and parking lot – our priority is protecting your investment by providing high quality, cost-effective asphalt solutions. 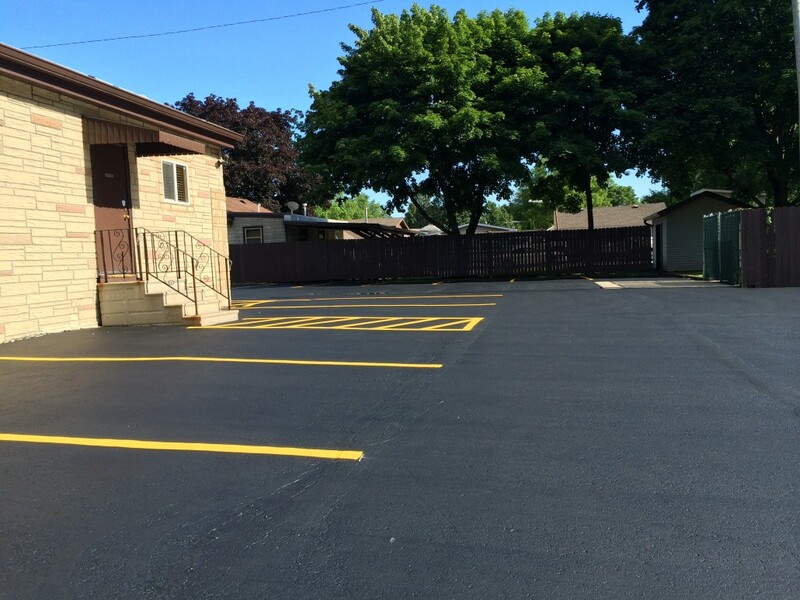 When our asphalt maintenance contractor’s seal coat your parking lot, we first repair cracks that could affect the base of your pavement (and in turn its strength) with high grade rubberized crack-fill. Striping is completed after seal coating. Our professionals can handle any size parking lot, and paint the necessary markings to properly control pedestrian and vehicle traffic. Contact Armored Sealcoating for your free commercial asphalt seal coating estimate today.